Israeli diplomat slams the Guardian for calling Hamas border protests “peaceful”. 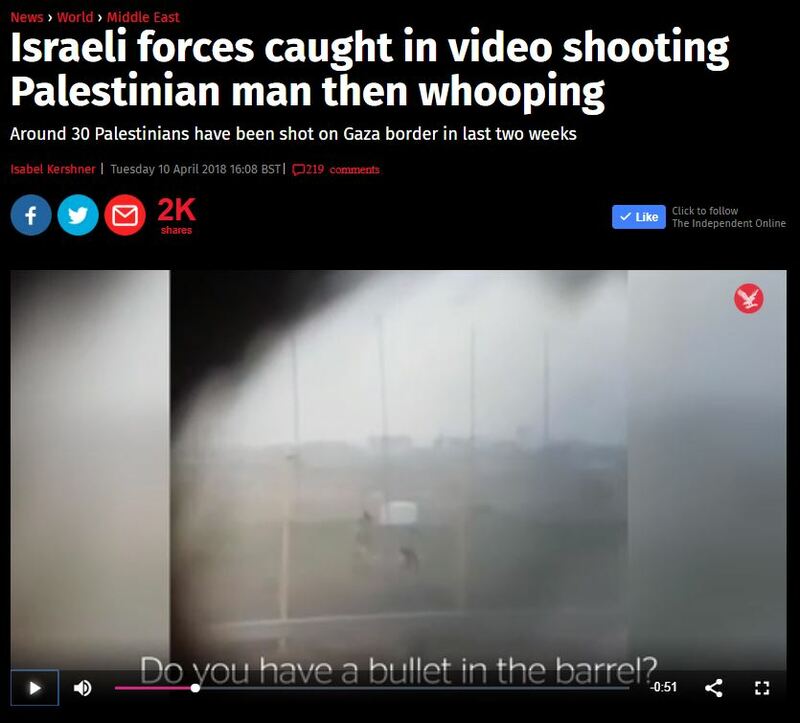 If NATO can kill journalist why can’t Israel? Let’s start with the New York Times. On 23 April 1999, at 0220, NATO intentionally bombed the central studio of the RTS (state-owned) broadcasting corporation at 1 Aberdareva Street in the centre of Belgrade. The missiles hit the entrance area, which caved in at the place where the Aberdareva Street building was connected to the Takovska Street building. While there is some doubt over exact casualty figures, between 10 and 17 people are estimated to have been killed. NATO intentionally bombed the Radio and TV station and the persons killed or injured were civilians. The questions are: was the station a legitimate military objective and; if it was, were the civilian casualties disproportionate to the military advantage gained by the attack? …. Insofar as the attack actually was aimed at disrupting the communications network, it was legally acceptable. Assuming the RTS building to be a legitimate military target, it appeared that NATO realised that attacking the RTS building would only interrupt broadcasting for a brief period…. On the basis of the above analysis and on the information currently available to it, the committee recommends that the OTP not commence an investigation related to the bombing of the Serbian TV and Radio Station. The prosecutor said that there was no reason to prosecute this as a war crime, as the attack on a broadcasting station that killed 16 (according to later reports) was not disproportionate.